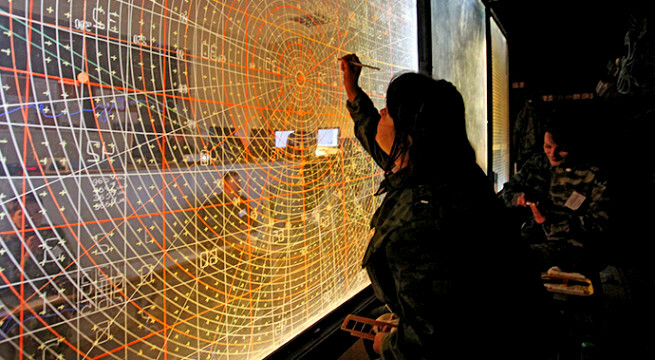 The Russian Early Warning Radar System that are traditionally considered part of strategic defense -- missile defense, the early-warning system, space surveillance and anti-satellite systems -- are currently included in the Air and Space Defense Forces, a separate branch of Russia's Armed Forces, subordinated directly to the General Staff. Till February 2015, Russia had no operational early-warning satellites. Two last satellites on the highly-elliptical orbit--Cosmos-2422 (HEO, launched 21 July 2006, NORAD catalog number 29260) and Cosmos-2446 (HEO, 2 December 2008, 33447) -- stopped operations in the fall of 2014. These were first-generation satellites of the 73D6 type that were built for the US-KS system (also known as Oko). This system was designed to detect launches of ballistic missiles from the U.S. territory and cannot detect missiles launched from sea or other regions. The last geostationary satellite of the US-KMO system, Cosmos-2479 (GEO, 30 March 2012, 38101), stopped operations in April 2014. The system includes the Don-2N battle-management phased-array radar, command center, and 68 short-range interceptors of the 53T6 (Gazelle) type. The 32 long-range 51T6 (Gorgon) interceptors have been removed from the system. The short-range interceptors are deployed at five sites -- Lyt-karino (16 interceptors), Sofrino (12), Korolev (12) Skhodnya (16), and Vnukovo (12). Long-range missiles used to be deployed with two units with headquarters in Naro-Fominsk-10 and Sergiyev Posad-15. The system was accepted for service in 1995. To monitor objects on high-altitude orbits, the space-surveillance system uses optical observations. The main optical observation station, Okno, is located in Nurek, Tajikistan. Its telescopes allow de-tection of object at altitudes of up to 40,000 km. The station began operations in 1999. Space-surveillance tasks are also assigned to observatories of the Russian Academy of Sciences.